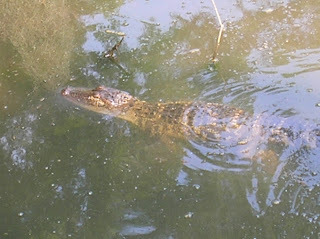 The school has a gator pond full of fishes, turtles, and of course gators. I snatched a few pics. And here's a brave turtle that swam right into the gator's face. 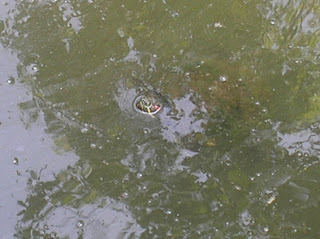 He was chomping on a fish at the time and I suspect the turtle was waiting for left over fish bits. So, did you get a digital camera? It's a small one I got from my mom, she upgraded. 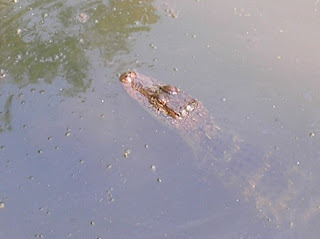 But my god, man there were gators but ten feet from me!